Philipsburg has a bookstore. Yay! 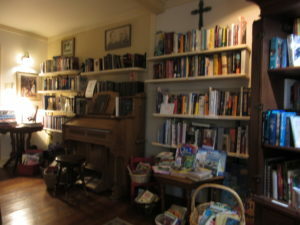 Percival Bickerstaff Booksellers have come to Quigley Cottage. Complimenting the ” old English” theme of Quigley Cottage, Bickerstaff Booksellers reminds you of a quaint, quirky little independent bookstore in London on Charing Cross Road. A unique collection of books covering a huge variety of subjects awaits you. The emphasis however is on Montana, Montana authors and stories and history of the west. Fact, fiction, new, used, well loved, best sellers, antique and rare books of all kinds await your per usal. Come to Philipsburg. 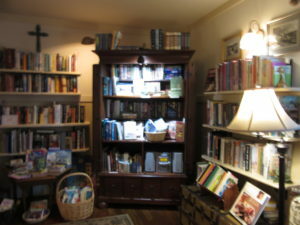 Don’t miss a chance to check out Quigley Cottage and P. Bickerstaff Booksellers.